Gain tertiary qualification in your specialisation. You can achieve a formal academic qualification in general agriculture or specialise in cotton, precision agriculture or sustainable grains production with a Diploma in Agriculture. It is an ideal program for those who need to undertake a refresher course in a particular discipline or who wish to broaden their knowledge at our SMART Farm or production feedlot at Tullimba. What should I study at school? You need a sound knowledge of mathematics, and we recommend you study biology and/or chemistry. Can I apply for early entry? 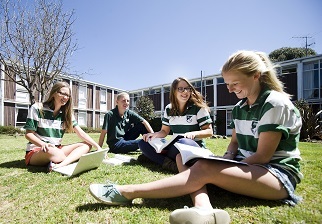 Yes, all Year 12 and some TAFE students can apply directly to UNE for Direct Early Entry before your results are released. How do I apply to study at UNE? Our graduates are employed across the whole agricultural sector. For more information, view our Agricultural Careers page, or visit one of the specific career pathways listed below.